The National Ability Center's 13th annual fundraising event Red, White & Snow is scheduled for March 2-4, 2017. The culinary, wine and ski festival is a popular and well-recognized weekend of events celebrating the empowerment of individuals of all abilities. View the schedule of events here. Registration will open in January. Posted in Miscellaneous, Local News, Lifestyle and Recreation, Live PC Give PC | 0 Responses to "Red, White & Snow - March 2-4, 2017"
Park City was recently ranked one of the friendliest cities in the world. Now Utah has been recognized as the number one happiest state in America according to Conde Nast Traveler. Discover more about the Utopian Utah factors by accessing the full article here. Posted in Miscellaneous, Market News, Local News, Lifestyle and Recreation, Live PC Give PC, Canyons | 0 Responses to "Utah Is Ranked The Happiest State"
Caring For The Community - Free Dumpster Days Coming! According to the Park Record, Recycle Utah will be offering free Dumpster Days on Friday, September 23 and Saturday, September 24 from 9 am to 4 pm at 1951 Woodbine Way. Click here for the full article. Posted in Miscellaneous, Local News, Lifestyle and Recreation, Live PC Give PC | 0 Responses to "Caring For The Community - Free Dumpster Days Coming!" Live PC Give PC Raises over $1,000,000 in 24 hours! Summit Sotheby's International Realty was proud to be a Peak Sponsor of this year's Live PC Give PC day of giving on November 7th. 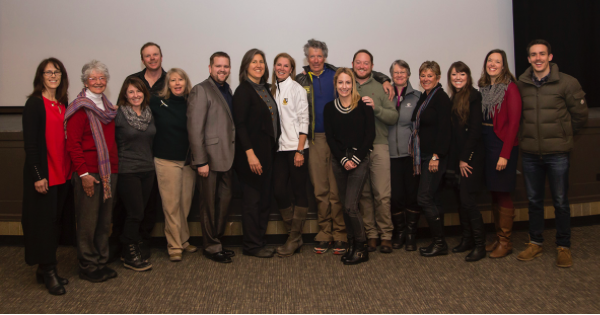 "From the bottom of our hearts, Park City Community Foundation and our local nonprofit organizations thank you. By giving together, we are building a stronger, more vibrant community. Your dollars have great impact. Thank you for being part of Live PC Give PC and for investing in your communitys future". Together We Raised $1,008,081 From 2755 Donors. Thank You! Posted in Miscellaneous, Lifestyle and Recreation, Live PC Give PC | 0 Responses to "Live PC Give PC Raises over $1,000,000 in 24 hours!"